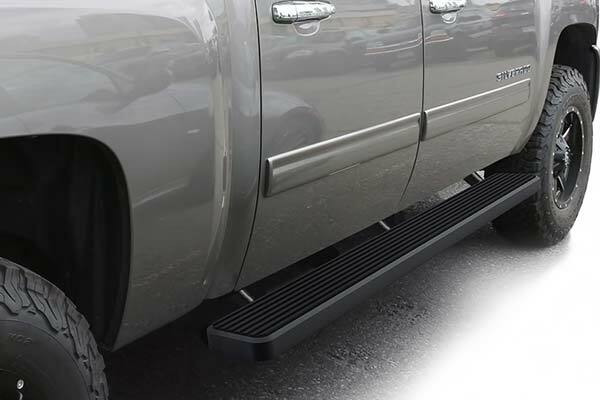 APS 5" iStep Side Steps - Black or Polished - FREE SHIPPING! 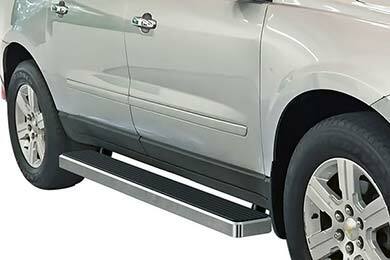 Take your vehicle-boarding capabilities to new heights by bolting on a set of APS 5” iStep Side Steps. Compatible with a wide assortment of trucks, Jeeps and SUVs, these steps are made of aircraft-grade 6061 aluminum and corrugated for enduring strength and added traction – no plastic whatsoever was used in the manufacturing process. Available finish options include black or polished. 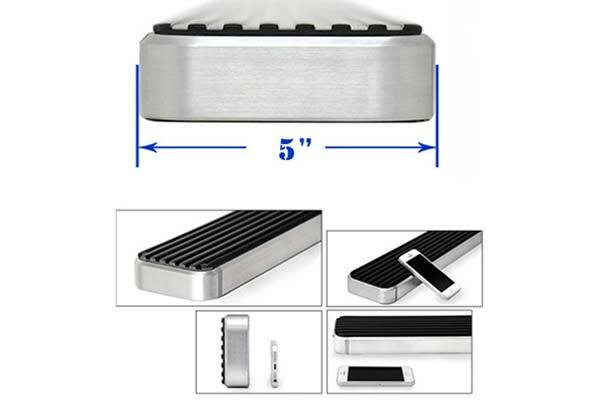 Five inches wide – as their name implies – they also come with the mounting brackets and hardware you’ll require. 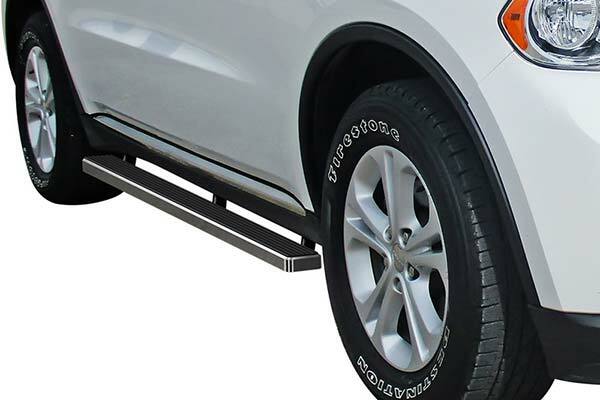 Sold in pairs, your APS 5” iStep Side Steps carry a 1-year warranty. 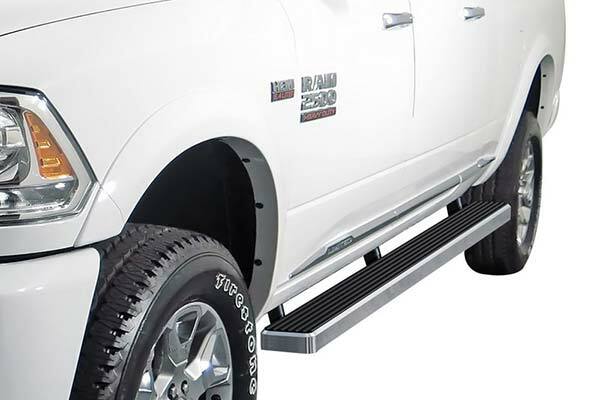 I am 5'6 and need something wider than the 4" tube steps that came on the truck I just bought. These are flat and provide plenty of foot room for stepping into the truck. I thought about going a little wider but this is perfect. I got the solid black and it looks good with the white truck. This running boards looking nice. Only thing that is mess up was that i was missing the center bracket on both sides. It said it came with 3 bracket but when I opened my packaged there was only 2 brackets and enough hardware to install 2 brackets. 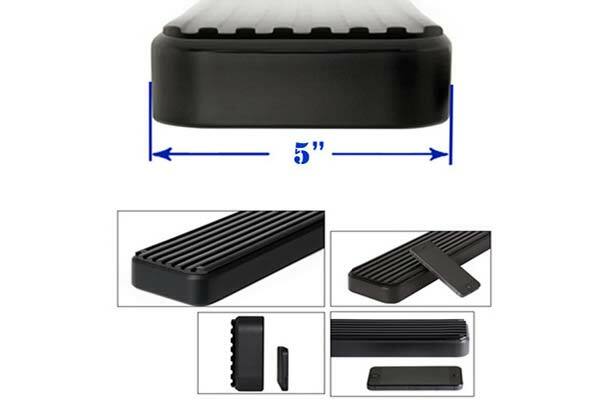 These steps are a great value and are super easy to install. Very functional and look great also! Very good quality, looks fantastic. On my truck, we didn't used the supplied mounts. We just used the supplied bolts, which made the install easier. But we broke one of the bolts off and had to drill it out. Chose this model because of having 3 mounting points. Love it. A great value. Solid, well made, and easy to install. I watched the tube video online before I attempted it. Do make sure you have all the parts first. It took me about 2-3 hours to do...alone. I got the black one so I wouldn't have to worry about rusting. Looks great. 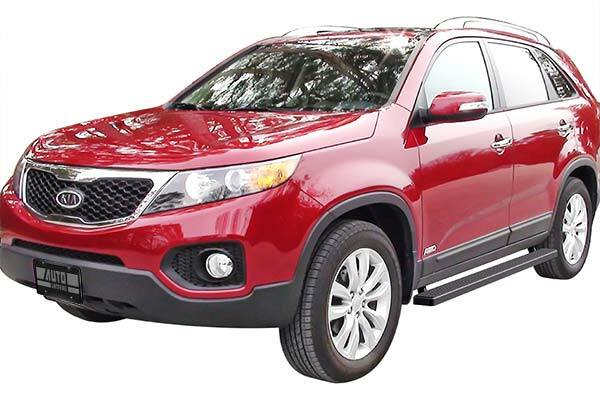 Reference # 753-678-465 © 2000-2019 AutoAnything, Inc.